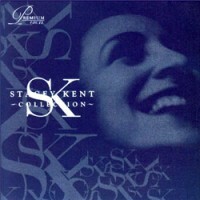 The Boy Next Door has been hailed as the best record Stacey ever made, and is a record that established her as a household name in France (over 100,000 copies sold) as well as in her homeland and around the world. Stacey Kent shares with Diana Krall and Norah Jones an ability to interpret songs in straightforward styles bereft of vibrato and pomposity with an understated feeling for the interplay between lyrics and melody. The award winning ex-pat American who splits her time between London and New York is rapidly becoming the definitive voice for a genre. 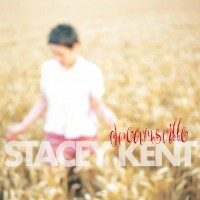 Importantly what Stacey doesn't do to a song is almost as vital as what she does. Just as Miles Davis knew that one well placed note could generate more feeling that twenty expendable ones, Miss Kent seems to have innate understanding of how to capture the essence of a song. Her interpretation is delicate and crisp lacking superfluous parts. 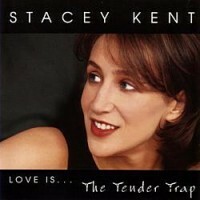 Every note Stacey elegantly bequeaths has both a purpose and direction, filling her songs with more meaning and emotion than twenty pop idol performances combined. This Boy Next Door Special Edition is composed of 18 songs connected to the musical men she most admires, expertly remastered in 24 bit high quality. From the heartrending Say It Isn't So, inspired by Perry Como to her truley individual take on James Taylor's You've Got a Friend, and two tracks sung in flawless French, the 18 track album is a delight.